We are pleased to bring you for rent this beautifully presented one bedroom apartment, with a surface of 80m2, located in “Ismail Qemali”Street, very close with city center and to all amenities. The apartment is a new construction, based on the seventh floor with elevator and comprises of one bedroom, a large living room, open plan kitchen with all needed equipment attached the eating area with table and six chairs and one bathroom with shower. 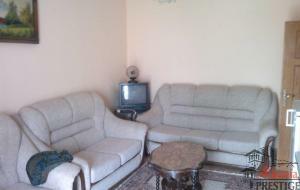 The apartment is totally furnished, are provided 24hr electricity, water and telephone/internet connection. 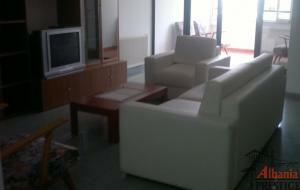 Offered for Rent two bedrooms apartment, with surface of 95sqm, located in Str. “Barrikada” here in Tirana. The property is an existing building, based on the fourth floor without elevator, oriented to the East- West and contains of: two bedrooms, a living room, a modern kitchen, hall, one bathroom and one a balcony. The apartment is totally furnished, offers air conditioning in all premises and it offers nonstop water and electricity supply. 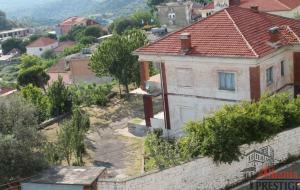 In the fourth floor of an existing building, offered for rent two bedrooms apartment with surface of 75 sqm, situated in “Myslym Shyri” Street. The property is located close to all amenities, offers air conditioning in all premises and contains of: two bedrooms, a living room, a modern kitchen, hall, one bathroom and one a balcony. 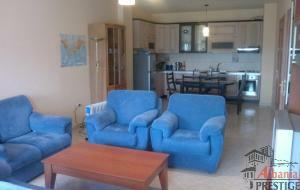 The apartment is totally furnished and it offers nonstop water and electricity supply. In the fourth floor of a new building offered for rent two bedrooms apartment with a surface of 112 m2, situated in a highly preferred part of Tirana, in “Lek Dukagjini” Street very close to Albanian Television building and very close to all amenities. We are pleased to present this two bedrooms apartment, available for Rent,with surface of 119sqm, located in “Dervish Hima” Street near the “Qemal Stafa” stadium, based on the second floors with elevator and scale. 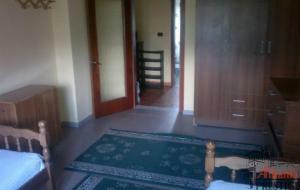 This property is close to the Natural Park, Sheraton Hotel, city center and very closed to all amenities. 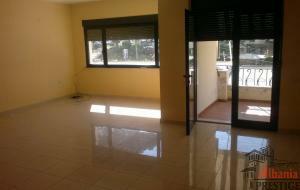 It contains of two bedrooms, a large living room, two bathrooms, hall as well as two balconies with great natural view.